VAN ROZEBOOM INTERIORS is a Full-Service Interior Design Studio based on the beautiful Central California Coast, in Pismo Beach. Shelly Van Rozeboom finds inspiration in the local artist community, stunning landscapes, and unique heritage. Surrounded by beauty every day, Shelly strives to bring a bit of the coast’s natural splendor into every one of her designs. 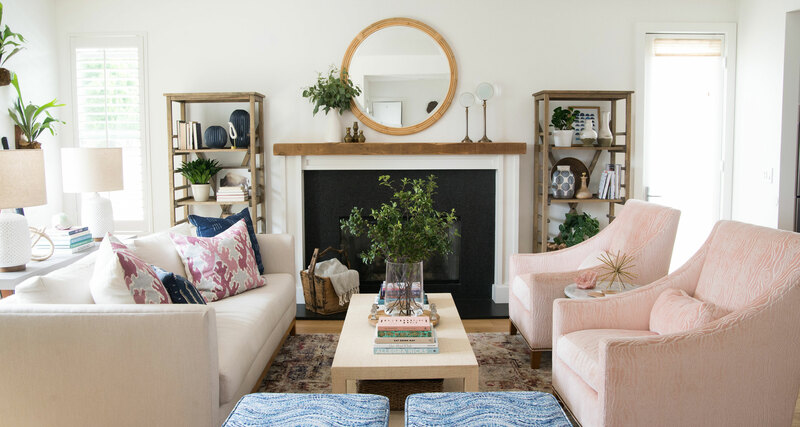 Specializing in both Residential and Commercial Design, she takes the guesswork out of the design process and creates effortlessly chic, fresh spaces for her clients and their families to enjoy for years to come. Are you looking for a fresh design to update your Kitchen or Bath from the 1980’s? Would you like your Master Bedroom to feel more like a sanctuary? Van Rozeboom Interiors can help make that dream a reality. We work on a wide range of Residential and Commercial projects, from simple color consultations, to ground up construction and large scale remodels, to furnishings and styling. We can even provide 3D Renderings of our proposed designs, so you can experience your newly designed space before we have even started construction! Van Rozeboom Interiors is located on the Central California Coast, and our team is within driving distance to the entire 805 including Santa Barbara, Arroyo Grande, Pismo Beach, Shell Beach, San Luis Obispo (SLO), Morro Bay, Avila Beach, Cayucos, Paso Robles, Cambria, and Carmel. We also take on projects outside of our area, depending on the scope of work.